The agenda packet for the May, 2018 meeting of the Housing Advisory Commission. Here is a copy of the agenda packet for the May 3, 2018 HAC meeting. 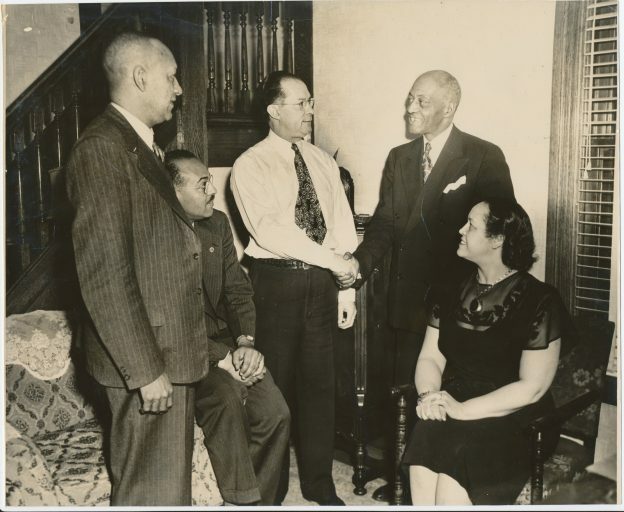 The image used in this post is a photo Osha (center) and Minnie McGhee (seated) meeting with members of the NAACP. On May 3, 2018, the US Supreme Court decided in the McGhee's favor, declaring that racial covenants on property deeds could not be enforced (as that would violate the 14th amendment). The McGhee's case, McGhee v. Sipes, was combined by the court with a second, similar case: Shelley v. Kraemer. The photo below is of the Shelley family. Here is a link to the agenda packet (pdf): May 3, 2018 HAC agenda (pdf). 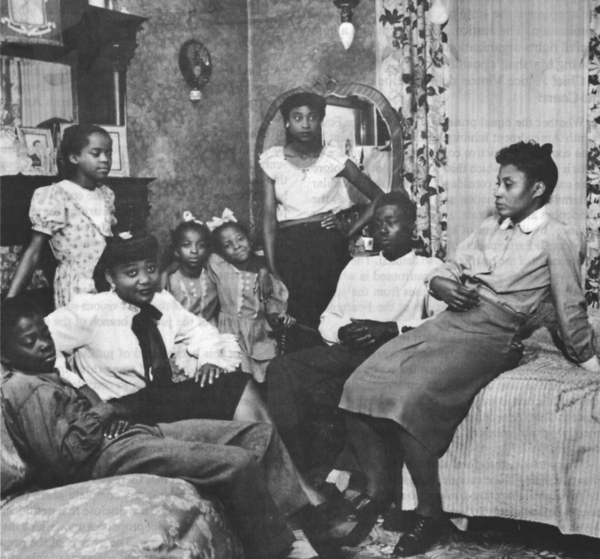 The photo of the McGhees comes from the Archives and Research Library of the Charles H. Wright Museum of African American History. The photo of J.D. and Ethel Shelley and their family is widely reproduced but I can not a definitive source to cite (other than, presumably, the family itself).